PHK20-1 Adapterplate | DamenCNC B.V. 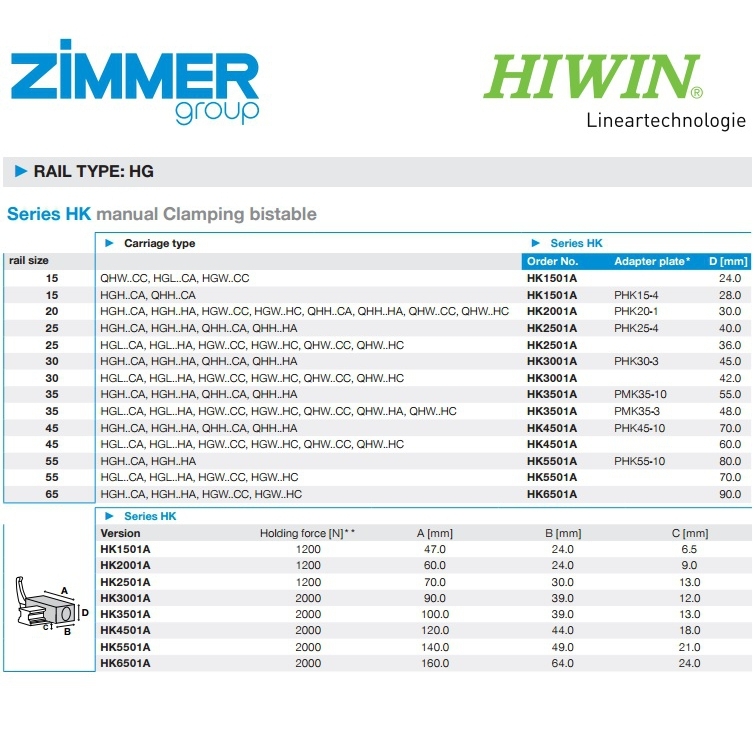 When using the ZIMMER HK series manual clamps in combination with HIWIN or other linear guides, often an adapter plate is required to set the clamping element at the correct height relative to the carriage. ZIMMER has some standard adapter plates, pre made for this purpose. 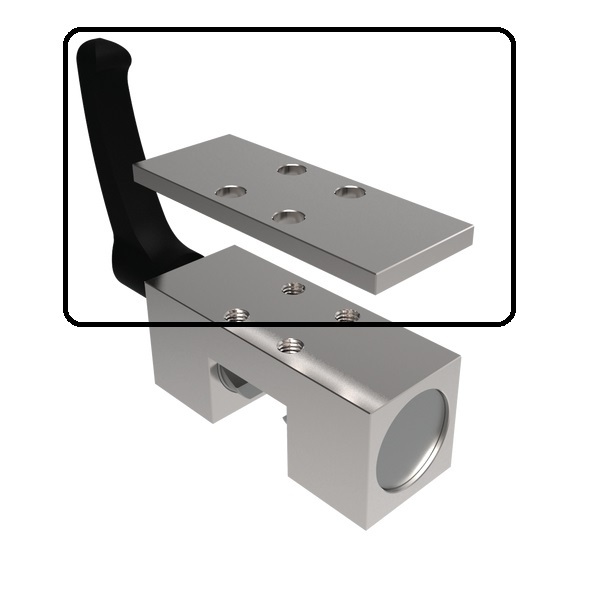 See the table which shows you which carriage + rails combination requires which clamping element and adapter plate.